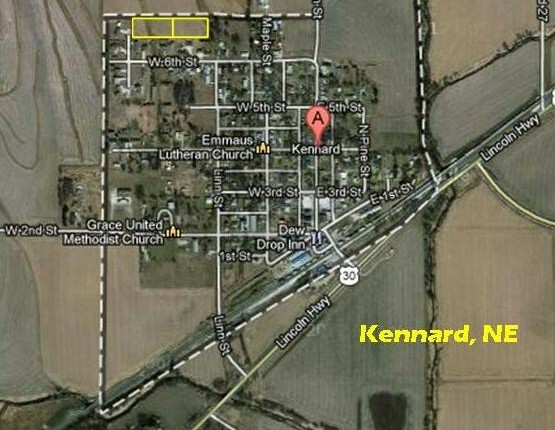 Buy the building lot for your new home in a prime location in Kennard, Nebraska. 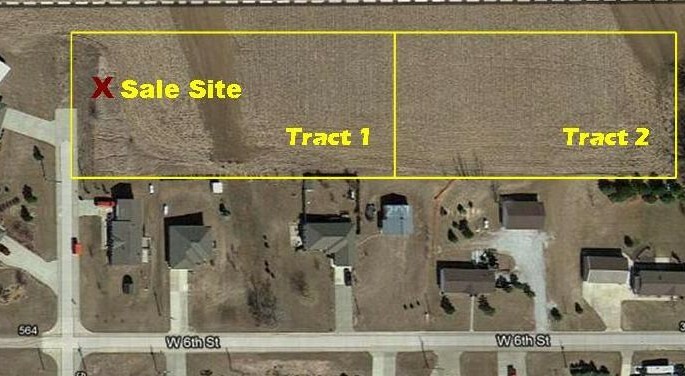 Minutes from Blair, Fremont and Omaha, this is great small town living close to schools, shopping and business! These tracts sell to the highest bidder regardless of price. Don’t miss this auction! TERMS ON REAL ESTATE AUCTION: A 20% down payment is due on sale day with the signing of an auction purchase agreement. A 10% buyer premium will be added to the final bid price with the balance of the combined total due in full within 30 days. Taxes to be prorated to date of closing. Participating brokers are encouraged and must be registered at least 48 hours prior to the auction. Announcements made sale day take precedence over previous printed or verbal information. a city street adjacent to the south west corner of the tract. the east side of the tract.